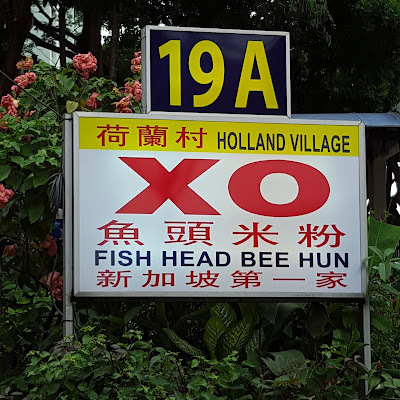 Holland Village XO Fish Head Bee Hun Restaurant 荷兰村XO鱼头米粉酒楼 is a zi char stall located in a coffeeshop in Dover Crescent popular for their XO Fish Head Bee Hoon. This stall is also well-known for their customer service which is terrible. Despite that, they still attract customers from all over the island. 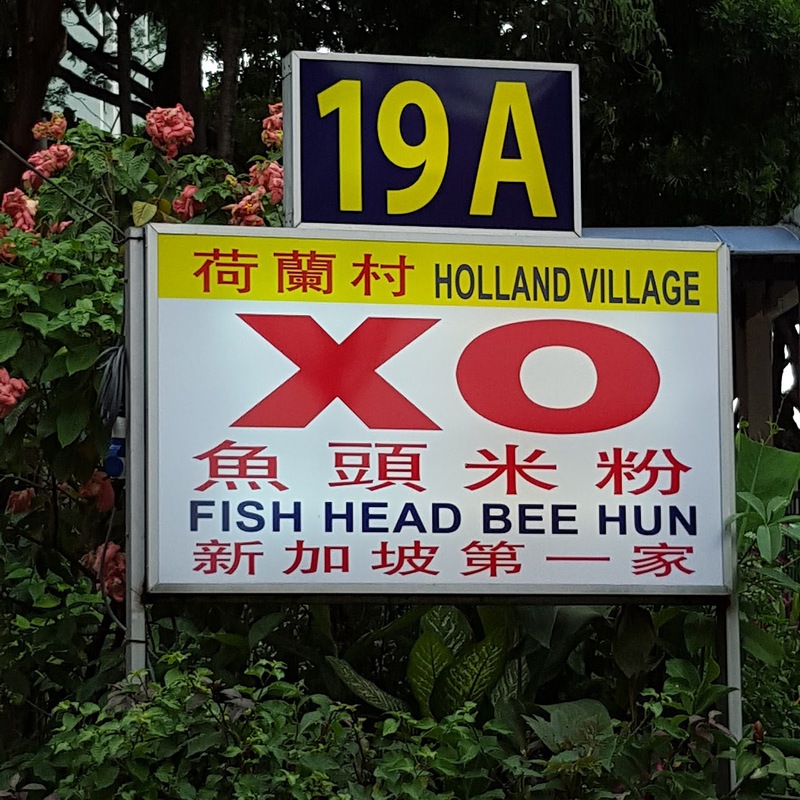 It is a testimony of how good their XO Fish Head Bee Hoon is. This reminds me of some Hong Kong cha chaan teng where the more the service attitude is terrible, the better the food tastes. The zi char stall sells a variety of food. You will need to ask for their menu. As you can see from the signage, the prices of their most popular item is clearly displayed. This reduces the number of requests for the menu as many people are here for just the XO Fish Head/Meat Bee Hoon. 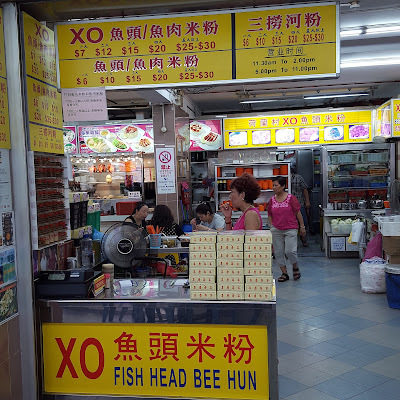 For myself, I made a special trip down to specially their XO Fish Head Bee Hoon. 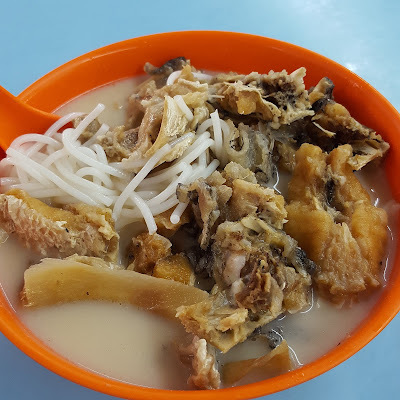 I ordered the smallest version of the XO Fish Head Bee Hoon XO鱼头米粉 $7. It would have cost me $1 lesser if I had ordered the fish meat version. But I am one of those who loves fish head. It is in fact the real deal. 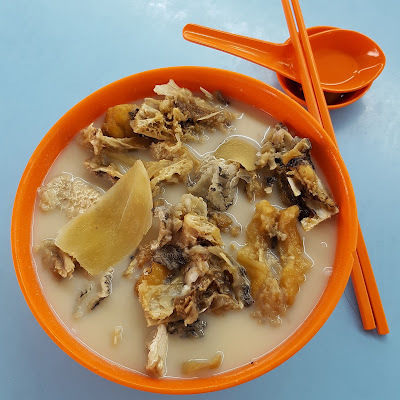 If you are also a foodie, you will probably agree that fish head is better than fish meat. The XO Fish Head Bee Hoon was delicious! The soup which was cloudy, was tasty, creamy and intense XO taste. Surprisingly, I liked the soup and drank most of it. Not bad for someone who does not fancy liquor. Slices of ginger was added to balanced out the flavours and get rid of any unpleasant fishy smell. 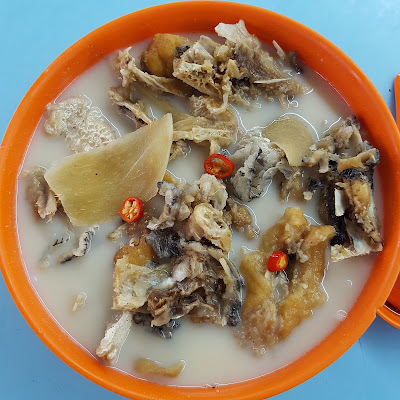 They were so generous as there was so many chunks of fried fish head in the bowl. They had given nearly the whole fish head (lips, grills, eyes, etc). Moreover, the fish head was so fresh. 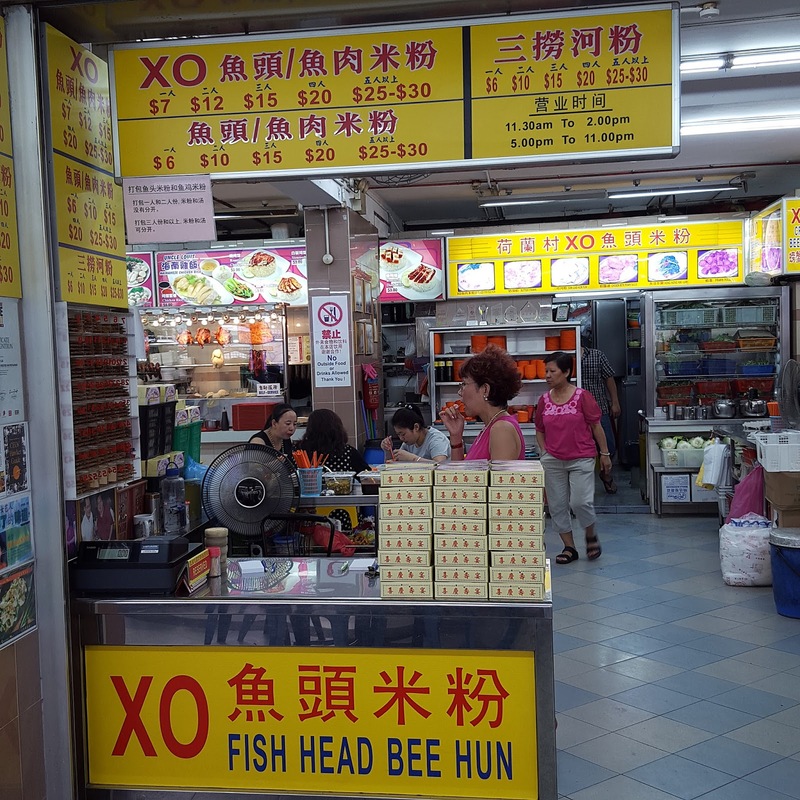 Now I understand why the XO Fish Head Bee Hoon has been so highly raved about. In my opinion it is a real hearty bowl of XO Fish Head and value for money.